An original and elegant fragrance born from the union of two olfactory themes of great personality: the citrus accents of Cologne are combined with the deep and aromatic ones of the Leather Accord, a note of ancient and luxurious origins, which evokes the preciousness of leather and accessories. 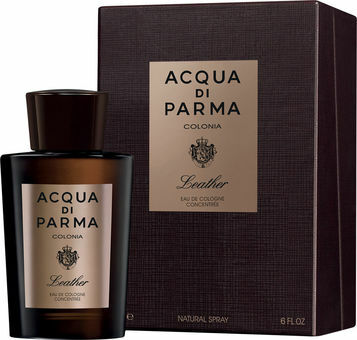 A composition characterised by the freshness of citrus top notes, Brazilian Orange and Sicilian Lemon, which reveals a heart of Rose and Paraguayan Petitgrain and evolves into a rich base, sublimated by the union of the Leather Accord with Atlas Cedar wood and Paraguayan Guaiac. Colonia Leather Eau de Cologne Concentrée, a new interpretation of rare elegance and sophistication.